Polished black granite tablet. 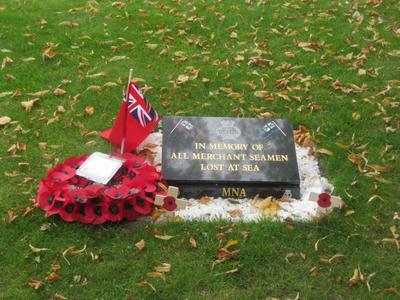 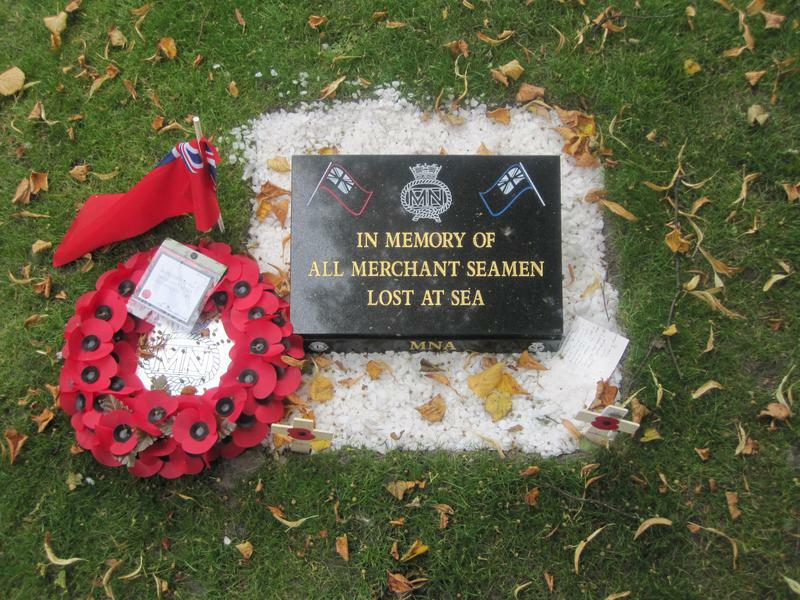 Above the dedicatory inscription is the Merchant Navy emblem, with flags to left and right, red and blue ensigns. Rests on white glasslike pebbles.